With soil health and water quality likely to be at the heart of Government policy going forward, the Allerton Project, a pioneer in farm-based research in these areas, reviewed trial results at its recent conference, Soil and Water 2018. 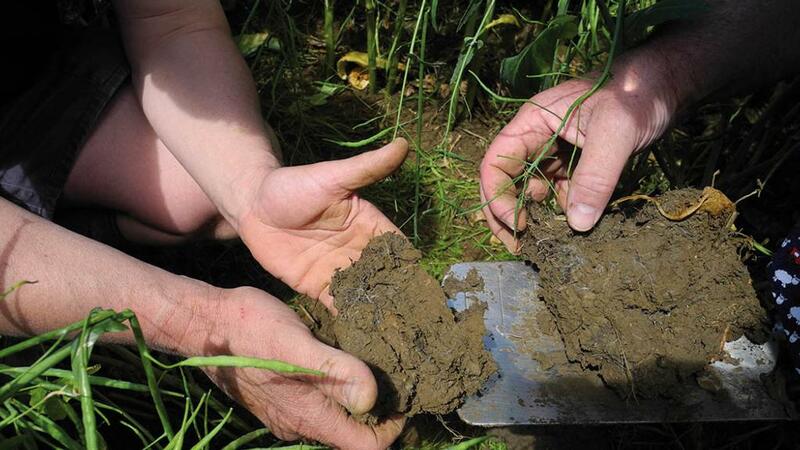 A three-year programme of research into cover crops, aiming to investigate how cover crops impacted soil biology, physics, chemistry, weeds and following crop performance, has been conducted at the Allerton Project as part of Defra’s Sustainable Intensification Research Platform (SIP). 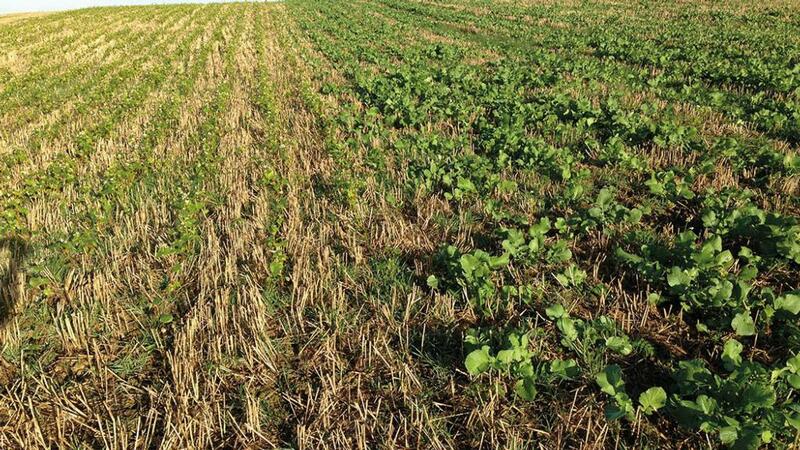 Allerton Project soil scientist Dr Felicity Crotty said part of the project involved studying three cover crop mixes – oats + phacelia C + P; oats + rye + phacelia + tillage and oil radish (C + P + R); oats + phacelia + oil radish + crimson and berseem clover + vetch (C + P + R + L) and a bare stubble control treatment. In autumn 2015 winter wheat was harvested on September 7 and cover crops sown on September 8. They were sprayed off on April 5, 2016, and spring oats sown on April 20. There were significantly more surface dwelling earthworms in the two cover crop treatments which had radish in them (C + P + R = 133 worms/sq.m and C + P + R + L = 113 worms/sq.m) compared with the oats and phacelia only treatment (C + P = 13 worms/sq.m) and the bare stubble control (42 worms/sq.m), said Dr Crotty. Weed biomass dry matter levels were measured in February 2016. The C + P + R (oats, phacelia and radish) mix had significantly fewer weeds (1.3g/sq.m) compared with all other treatments. C + P and C + P + R + L were intermediate (4.9g/sq.m and 10.7g/sq.m, respectively); while the bare stubble control had a significantly greater amount of weed material than all other treatments (30.6g/sq.m), said Dr Crotty. The mix containing legumes gave the biggest yield boost in the following spring oat crop, which yielded just over four tonnes/hectare compared with just over 2.5t/ha for the control. Further cover crop studies are continuing at Loddington as part of a partnership between King’s, Frontier and GWCT looking at the effect of different cultivation methods on a range of factors, including subsequent cereal crop yield. The methods include ploughing, no cover crop; ploughing plus cover crop; min till plus cover crop; low disturbance sub-soiler plus cover crop; and stubble plus spring cultivation. 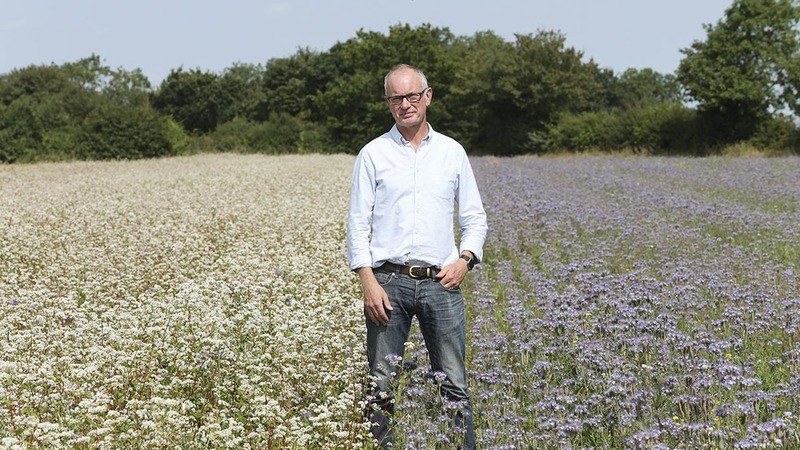 Loddington farm manager Phil Jarvis is keen for cover crops to deliver tangible economic benefits. To try to gain a better understanding of why some establishment methods seem to work better than others, this year the research includes taking measurements of soil temperature and moisture in the top couple of inches of soil for each of the treatments from before cover crop destruction in early February up to grain fill. Reducing surface run-off from fields has been the subject of substantial research over the last decade at the Allerton Project, Loddington, Leicestershire, with the aim of developing advice to farmers on how to cut it. Promotion of catchment sensitive farming is also mentioned in the Government’s recently published 25-year Environment Plan. Surface run-off can lead to washing of sediment and nutrients such as phosphorous and nitrogen into watercourses. This can reduce soil quality in the field and also have an adverse effect on water quality. While tramlines are an important management tool, they can increase risk of compaction, erosion, nutrient and sediment loss in run-off. Work done by ADAS showed 5-17% of surface run-off where tramlines were used compared with less than 0.6% where they were not. ADAS research, reviewed by Prof Martyn Silgram and presented by Prof John Quinton, looked at the effect of different tramline management options over four UK sites, including Loddington, over four years. Treatments included undrilled tramline wheelings; drilling the wheeling area; optimally-inflated ’very flexible’ (VF) tyres; tyres at road pressure (conventional control tyres – CT); a novel rotary harrow unit on a hydraulic toolbar attached to the back of the sprayer; a novel surface profiler roller-tine roller unit; CT plus rotary harrow; and optimally-inflated VF low ground pressure tyre plus rotary harrow. There was no significant effect of drilling the tramline area on run-off or associated losses as the autumn spray operation still causes compaction and there was less topsoil compaction from VF tyres compared with CT tyres, according to the research. VF tyres, rotary harrow and surface profiler units reduced run-off by up to 75%, 85% and 95%, respectively, compared to CT tyres and there was no effect of management treatment on crop yield. In terms of cost effectiveness, VF tyres cost the least at £2/ha whereas the harrow (£12/ha) and profiler (£31/ha) require an incentive such as a Countryside Stewardship Scheme Capital Grant, according to the research. Source: Prof Martyn Silgram, RSK ADAS who had been due to present the paper on tramline run-off, but sadly died a few days before the Soil and Water 2018 conference. Suffolk-based arable organic farmer John Pawsey outlined soil health management strategies he employs at Shimpling Farms, Suffolk. Mr Pawsey operates a 9m controlled traffic system to reduce compaction. He also uses intra-cropping. Mr Pawsey soil tests every four years using the loss on ignition (LOI) method for measuring organic matter. He spreads clean sugar beet pulp on fields to help boost organic matter from a British Sugar biodigester. A healthy debate took place at the Soil and Water 2018 conference about the value of academic and farmer-led research. Here are a few of the comments.